I’m not the only person guilty of this, right?! The brighter side to this madness is that I’m a little obsessed with lip balm. Dry, cracked lips just irk me! I generally moisturize my lips in the morning after showering, at night after washing my face, and about a hundred times throughout the day. It’s not neurotic behavior, I swear. You’ve probably seen some versions of this diy floating around the web. They are really sooo easy to make. 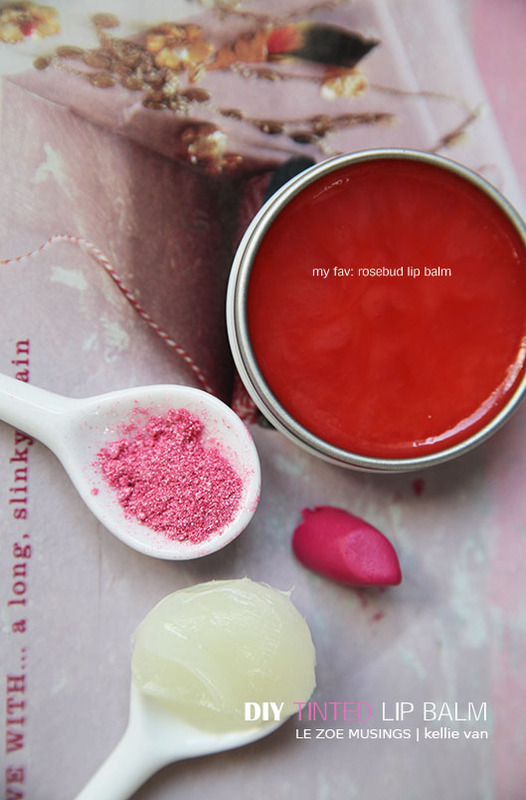 I made lip balm two ways: one with a lipstick and the other with loose mineral blush. Petroleum jelly acts as the base (who doesn’t own this?). Rosebud is my absolute favorite lip balm. The blending part is easy. 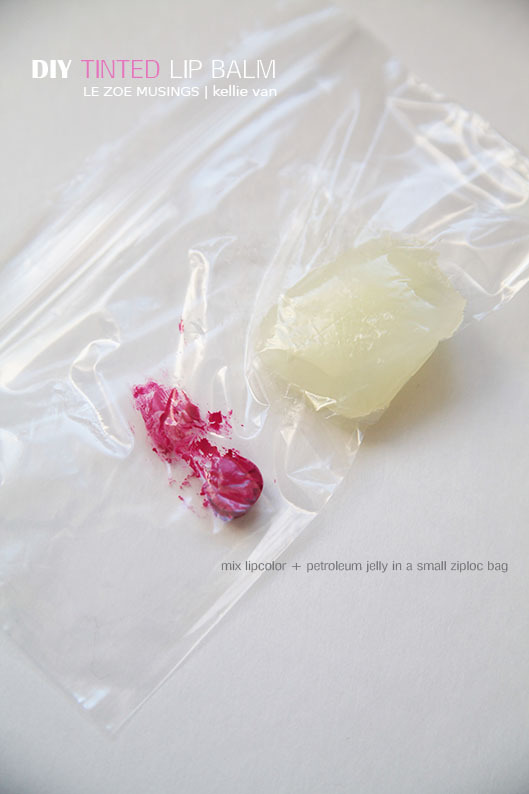 Put petroleum jelly and lipcolor/loose mineral blush into a small ziploc bag. Seal the bag. Mix (by rubbing the two products together) on the outside of the bag- your hands will stay clean! Once blending is done, snip the edge of the bottom corner and pipe the balm into a small container. So pretty and the colors are very subtle. 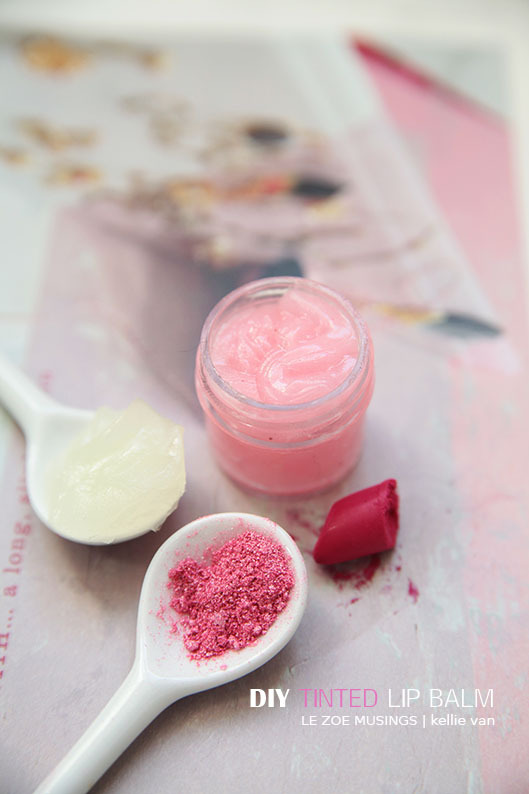 Beauty junkies, clean out your beauty junk drawer and give this easy but fun diy a try. They make great gifts for your loves as well. Hope you had a FAB Valentines! can you use something else than petroleum jelly? Awesome post! I have quite the opposite problem… I have no make-up and my lips are rather boring. I’ve been wanting to spice them up ever so subtly though! I’m a super crafty/DIY person, so this is right up my alley. Thanks for the inspiration and easy steps! Great pics too. What a great idea. The colors are so very pretty! I love these DIYs. Keep em coming! I’m amazed by how easy this was plus you’re not wasting your makeup products in the process. Great DIY post! This is such a great idea! I always find myself losing my lip moisturizing products, so I will definitely see if I can get rid of some of those less desirable colors in this way. Thanks! Nice! I guess I’m one of the few without petroleum jelly hanging around, though! 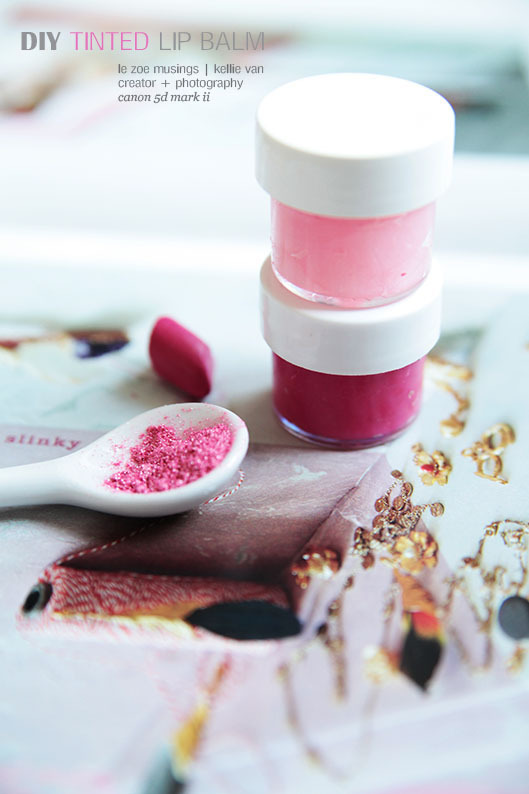 I love to use my pigments as lipcolour with a kawakawa balm that a friend has made up for me. I love thinking outside the box! Good on ya! I love this idea. I am going to do this with the lipsticks colors I don’t wear that are too bright this will probably mellow them out. I was just thinking the other day how terribly cluttered my makeup drawers are by BirchBox unwanted items and this is such a great way to make use of those little guys. Awesome idea! Your photographs are so beautiful! Great idea too! 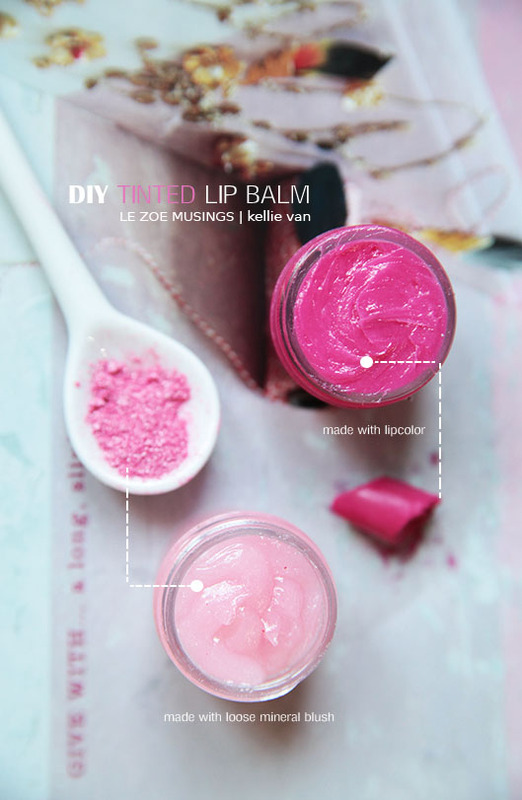 I am definitely going to try this out (once I run low on lip balm, that is) – thanks for sharing! If you want to make lip balm that doesn’t contain petroleum products, it’s quite simple to make your own with beeswax, shea butter and almond oil, melted together. Add a little food flavoring and color (same technique as above), let it cool and you’re done. I absolutely LOVE your blog here and love your style. I blog about the colour pink and got an inspiration from this blog post of yours. Loooooooovveeeee this! It’s so easy! Thanks for sharing this! Reblogged this on The crunchy apple.. This looks amazing! What a cool gift idea. Thia is so cool. Will definitely try to make it. Thanks for sharing. Made this yesterday. It is So easy to make. The unfortunate placement of a candle next to my favorite lipstick and chap stick left both melted beyond application from the tube. 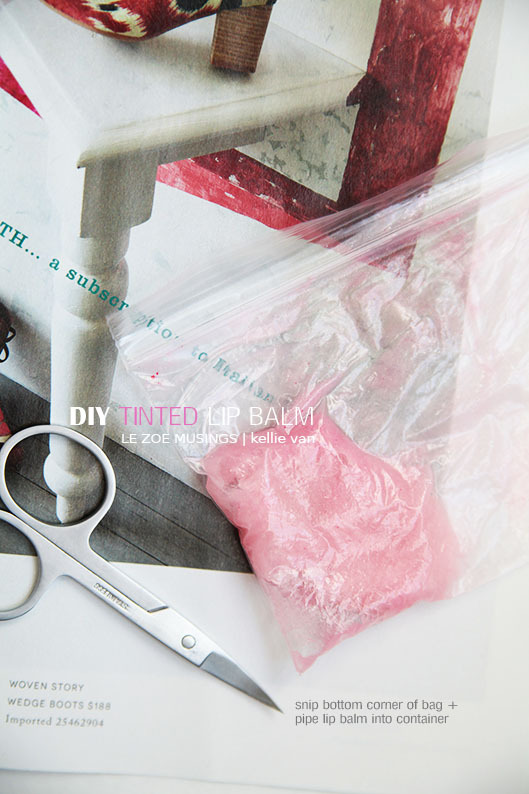 I mixed them up using this recipe for tinted lip balm and problem solved. PROS: easy, great for extending the life of a lip color, makes your lips feel nourished rather than dried out from lip stick. CONS: Hard to wash off your finger if you apply it that way, smeary like lip gloss. I wonder what would happen if you put peppermint oil, or some vanilla extract in it?! I’m going to try it. This is an amazing idea! So creative. I always have a bunch of makeup lying around that I never use, so I definitely plan on trying this out myself! 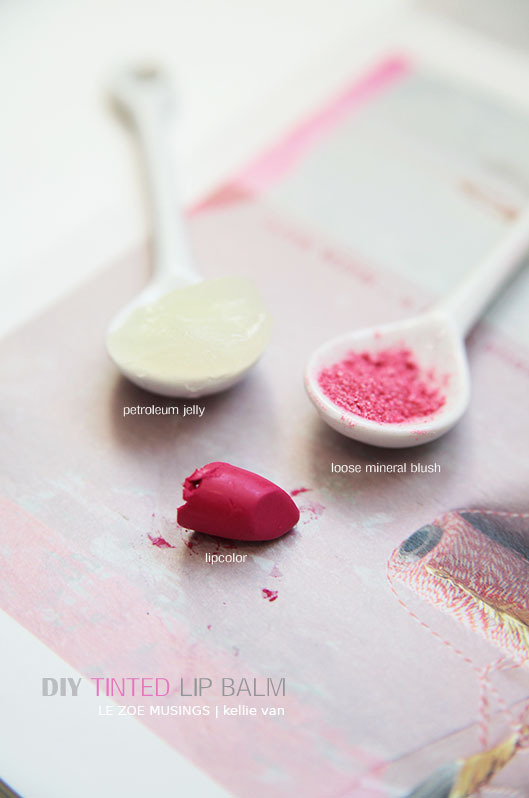 Is it possible to mix the blush and the lipstick with the petroleum jelly for a combination of the two colors? Hi Brepasi- I think the mixing of the blush and lipstick is a great idea! Such a simple but effective idea – I’m going to try it with my step daughter this week. Thanks! this sounds like my kind of DIY easy with a great and fulfilling result. Great idea to use old lipsticks. I rarely use lipstick and am a lip balm fiend also so this would be a great way to use it up! I think I need to do this just because it looks so fun! 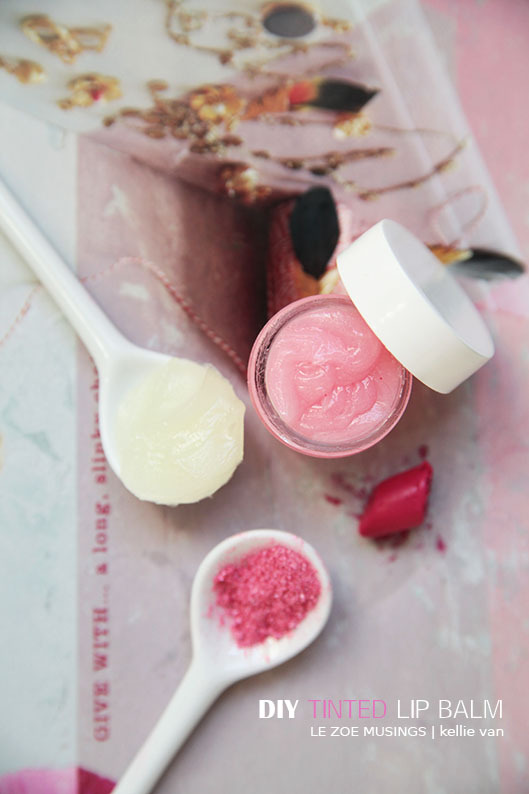 The idea of your hard earned money spent on unwanted beauty products and making lip balm from them is amazing. I had to reboot this post. Looks easy enough😋😋 why not give it a try . Thx for the tip! So smart! I love the idea of piping the balm into a container. I have the perfect little containers that I found in the travel size toiletries section of Target! Thanks for the tutorial! Whaaat, I would never think to try to make my own. How cool! I’ve made tinted lip balm before, but I still found new ideas from this 🙂 Also… the images are just sooo pretty. you do such adorable things. looks so nice and a great tip. thanks. Thats a great tip, dry cracked lips are awful and uncomfortable and I can never be short of lip balm either! Yes I also have to much coloured cosmetics than I can handle. But I’ve never bought loose eyeshadow or loose blush I just assumed it would be to messy… and your post has just confirmed this assumption. Now thats a great idea for those unused lipsticks, especially the ones with those uncomfortable dry formulas. The problem with that stuff is I’d be too tempted to eat it. Like playdo. Amazing pictures, though! Just keep the food away from me! So so cool! I’m going to give this a try this weekend!!! awesome DIY! must give this a try! I am a huge fan of vaseline for my lips and to remove eye makeup. I will have to give this a try! LOVE THIS! I use Vaseline for everything. Why didn’t I think of this? Happy Valentine’s Day! Love this idea! I know I have some lip colors that I’ve only used once or twice, what a great way to recycle them! You aren’t the only o e guilty of that! 🙂 I regularly throw out items that I must have bought j a fit of temporary insanity…for instance eyeshadow contour colours never suit me but for some mad reason I still buy them..